A cyber security breach is an inevitable threat. Are you ready? Employers are actively seeking individuals who have the necessary cyber security knowledge to protect their organizations’ tangible and intangible assets. If you already have several years of experience in the information security industry, the Certificate in Advanced Cyber Security is the perfect way to ensure you are up to date with the newest technologies. This Certificate builds upon the foundational knowledge gained in the initial Certificate in Cyber Security Fundamentals to develop additional competencies and a more thorough understanding of the eight knowledge areas required for the CISSP designation. The Certificate in Advanced Cyber Security is scheduled to align with CISSP examination dates to allow graduates the opportunity to write the exam while the course material is still fresh in their minds. To enrol directly in the Certificate in Advanced Cyber Security, you must have successfully completed the Certificate in Cyber Security Fundamentals or hold the CISSP designation. 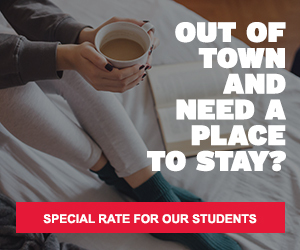 For details on direct enrolment, read the Admissions Requirements at the end of the page. If you do not have the CISSP designation, please review the Certificate in Cyber Security Fundamentals or the bundle of Cyber Security Fundamentals + Advanced Cyber Security taken together. These are direct registration programs and no application or review process is required to enrol. You can choose to enrol only in the initial certificate (Fundamentals) or in both certificates at the same time (Fundamentals + Advanced). Each certificate has multiple start times throughout the year, allowing you to progress from Fundamentals to Advanced right away, or giving you the option to take a break and enrol at a later time. 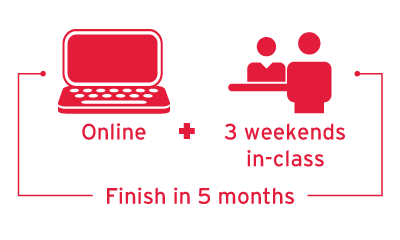 Our blended learning, part-time format is ideal for busy professionals. The Certificate in Advanced Cyber Security can be completed in just five months and includes a blend of online coursework and three on-campus sessions (held over the weekend). Instructor-led learning with online modules help you progress through the web portion of the program from the location of your choice. The program is designed for students to start and progress through each certificate as a group, which will help you form connections with your peers and colleagues. and project management skills, so you can successfully demonstrate your knowledge to employers. Ed Dubrovsky – Managing Director, Cyber Breach Response at Cytelligence Inc.
Our cyber security program courses are aligned with the eight (8) domains of the CISSP body of knowledge. Completing both programs will prepare you to present the CISSP examination and help you earn your designation. In the bundle offer that includes both Cyber Fundamentals and Advanced Certificates together. To enrol in the Certificate in Advanced Cyber Security as a stand-alone offer, you must have successfully completed the Certificate in Cyber Security Fundamentals or hold the CISSP designation. Direct enrolment into the Advanced Certificate is subject to review and approval by the Program Manager and is granted only by exception. Please contact a Continuing Studies Advisor at continue@yorku.ca to inquire about direct registration into the Advanced certificate. 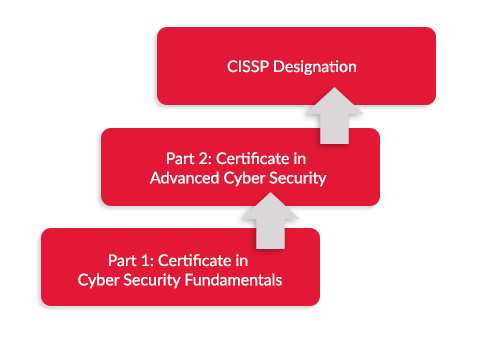 If you do not have a CISSP designation or have not completed the initial Fundamentals certificate, please enrol in the Cyber Fundamentals or Bundle session of your choice to get started. The Cyber Security Program is designed to heighten your understanding of the Certified Information Systems Security Professional (CISSP) body of knowledge and prepare you to take and pass the (ISC)2 CISSP exam. The CISSP is a globally recognized designation required for most senior cyber security roles. Examine the information security knowledge framework through the lens of the CISSP domains as you develop an enhanced understanding of the eight CISSP domains and gain the fundamental information required for information security projects and the designation. Develop an understanding of the ethical, legal and regulatory issues surrounding cyber security as you learn about security principles, network fundamentals and how to apply these areas to design networks and policies for security and compliance. The amount of digitized data grows in size and vulnerability every day, requiring specialized attention toward processes, protection, security and authentication. Learn how to mitigate risk and protect ownership by understanding best practices for data gathering, classification, storage, retention and protection. Security engineering requires an understanding of security models, secure design principles and the ability to assess a variety of systems for vulnerabilities. Students will learn these fundamental concepts as well as information on selecting controls and countermeasures, and the application of cryptography. Effective leadership in the field of information security requires an elevated understanding of security operations concepts and how to apply these in real-world situations. Discover how to apply concepts, from best practices in vendor procurement, through to investigations and preventative measures, resource management, disaster recovery, and business continuity. The development, evaluation and validation of assessment processes is integral to securing system infrastructure and detecting vulnerabilities. Develop an in-depth understanding of the techniques and industry standards for assessment validation, continuity, analysis, reporting and facilitating audits. Ali Khan is a senior information technology, cyber security, and risk management professional. 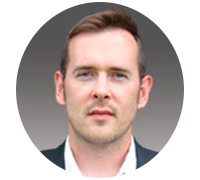 With experience in information and cyber security, privacy, risk and related technology, he has worked across many different industries including high-tech, financial services, energy and utility, health care, retail, educational institutions, and crown corporations. Ali’s areas of expertise include strategic IT security consultancy on cyber security, cyber security analytics, and information protection solutions. Ali focuses on consultancy of Privacy/Security Operations Centers (P/SOCs) and related Security Information and Event Management (SIEM) solutions. He works with large enterprise clients to develop and operationalize their cyber security initiatives. Ali has NATO Secret Clearance and Level II (Secret) clearance from the Government of Canada and holds an Honours BA in information technology management from York University, an advanced diploma in computer engineering technology from Humber College, is a Certified Information Security Manager (CISM), Certified Information Systems Security Professional (CISSP), Certified Information Systems Auditor (CISA), and has completed numerous professional training sessions on industry leading IT solution sets. Ali is also a member of a number of local and global cyber security groups. Gaurav Kumar is a security and risk management leader with one of the world’s largest management consulting companies. 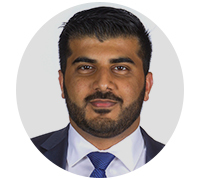 In his current role, Gaurav is responsible for helping client executives develop suitable security and risk management strategies that meet business needs, seeking to balance defensive and responsive strategic elements. 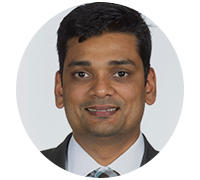 For over 15 years, Gaurav has been helping businesses understand and proactively manage information technology risks by effectively acting as both a technical subject matter expert and a trusted business information security adviser. Gaurav has worked in all verticals of information security and risk management including access management, threat analysis, security monitoring and response, risk management, security assurance and governance, security consulting, and enterprise security program management. Gaurav holds a MSc in information security and assurance (majoring in vulnerability management) from Norwich University in Vermont, USA. Gaurav also holds the CISSP, CISM, CRISC, CCSK, and SABSA security architect designations. Ed Dubrovsky is an information security executive and practitioner with over 24 years in the technology field. Ed possesses extensive experience in technology leadership, information security architecture, implementation and management. 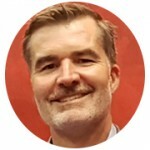 Ed has written numerous thought leadership articles, and spoken at many professional events about risk management and information security topics. Ed has provided CISO level consulting services across numerous fields, including retail, government, manufacturing, financial services, energy, education and health care. Ed’s areas of expertise include cyber security strategy, architecture, penetration testing, threat modelling, user behaviour analytics, and data protection. Ed has Secret clearance from the Government of Canada, holds an Honours BSc in information systems from Athabasca University, an MSc in information systems from Athabasca University, an MBA from York University’s Schulich School of Business, is a Certified Information Systems Security Professional (CISSP) in good standing from 2003, holds a Project Management Professional (PMP) designation, and holds numerous technical and professional certifications with leading technology and cyber security vendors. Currently Ed manages Cytelligence’s cyber security teams assigned to respond to client emergencies, and to deal with a wide range of cyber threats. Previously, Ed ran the National security practice at OnX Enterprise Solutions, focused on helping mid-market and enterprise customers attain information security program maturity. 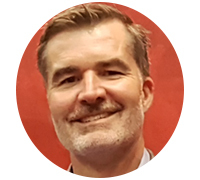 Jeff is the Director of Customer Protection (Authentication) and Cryptographic Services within the information security department of a major financial institution with over 20 years’ experience in 24/7 operations environments. Prior to venturing into information security, his focus was as a director of architecture in the contact centre and application development space, leading technical teams of up to 100 members. He primarily served financial services, telecommunications, and professional services organizations. His experience in architecture, data centre, program management, application development and strategy has led him to experience every one of the 8 domains prescribed within the CISSP Common Body of Knowledge. Jeff wrote his Certified Information Systems Security Professional (CISSP) certification exam in 2013. He first trained as an aircraft engineer and continues to carry learnings from that industry into technical operations. Graduates of the Certificate in Cyber Security Fundamentals are prepared to lead teams and projects related to information security management. 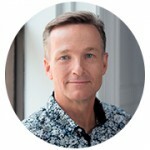 As the National Technology Officer for Microsoft Canada, John Weigelt is responsible for driving Microsoft Canada’s strategic technology efforts. In this role, Mr. Weigelt helps business and governments innovate with technology while avoiding the unintended consequences that might arise. He leads Canadian outreach for technology policy issues across a wide range of subjects including: economic development, digital economy, open government, environmental sustainability, accessibility, privacy, security, critical infrastructure protection, government 3.0, spectrum and intellectual property. Mr. Weigelt’s 25 plus years of experience in cyber security, and his pioneering work in protocols, practices, policies, programs and partnerships to increase cyber assurance, provides him with a unique perspective on the challenges and opportunities associated with overcoming the inertia often associated with initiatives to increase trust and confidence in the digital world. Ed Dubrovsky is currently the head of the national security practice at OnX Enterprise Solutions, dealing with issues that directly affect security and IT departments’ ability to collaborate effectively. Mr. Dubrovsky is an information security expert with over 24 years’ experience in the technology field. 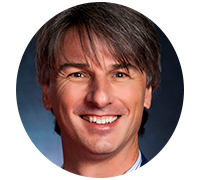 His primary interests include infrastructure and application security, and vulnerability assessment. Mr. Dubrovsky has expertise in vital topics such as: protecting perimeter devices, cyber compliance, employee training, and selecting the right technology tools to help keep your organization safe. 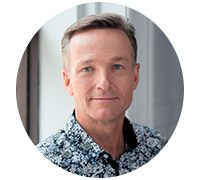 Darren Jones is an internationally recognized leader in the fields of IT audit and security, with extensive experience in the field since 1986. He has excelled in delivering innovative solutions for organizations in a variety of industries. As a part of KPMG Canada’s national cyber security consulting practice, Mr. Jones provides clients with impactful solutions to help them improve their security policies, processes, and technologies. Mr. Jones’s business development and project delivery successes include solution areas as diverse as information security, corporate governance, IT strategy, enterprise systems management, network architecture and management, and outsourcing. Since 1993 he has been a sought-after speaker on IT audit, security, crisis management and IT reliability issues. He is frequently interviewed and is a published author on IT security matters. Gary Perkins is the Chief Information Security Officer (CISO) for the Government of British Columbia. As the Executive Director of the Information Security Branch, he is responsible for providing cyber security services in support of the province. He has over 19 years of experience in information technology, risk management, and cyber security. 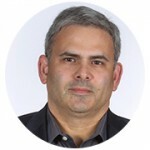 Prior to joining the BC Government, he worked in the private sector as chief of staff for security at Telus and, earlier in his career, led teams responsible for incident response, operations, delivery, and architecture for both corporate and managed security services customers. A certified information systems security professional (CISSP) since 2004, Perkins also holds an MBA from Simon Fraser University’s Management of Technology program. 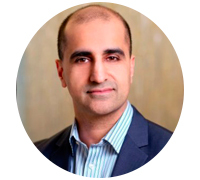 Manish Khera is currently the lead of application security, data protection, and security consulting in the office of the CISO for the Royal Bank of Canada. Mr. Khera is a seasoned technical security leader with nearly 20 years of experience in the fields of IT security and privacy consulting, data protection, forensic investigations, fraud detection, and IT auditing. He was formerly the Canadian Chief Information Risk Officer, Head of Global Merchant Cyber Security Investigations and PCI Compliance for JP Morgan Chase. His responsibilities included management of the IT risk posture in Canada for the firm, global head of merchant breach investigations, merchant PCI compliance, and merchant service provider registration. Prior to joining JPMC, Mr. Khera was the head of the IT security function for TJX Companies responsible for IT risk assessments, policy administration, security project management, identity management, and security administration, operations, and engineering. 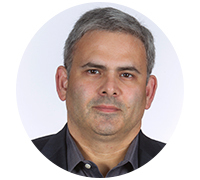 Dr. Hamzeh Roumani is an award winning professor and a recipient of the 3M Fellowship, the highest and most prestigious recognition of teaching excellence in Canada. His teaching philosophy is founded on the clear separation of abstraction levels, and his pedagogy is based on learning by doing. He embraces the experiential approach in his books and courses and has recently implemented it to help design a new computing curriculum for the newly founded Lassonde School of Engineering at York University. The new courses are themed around sensors and actuators, web technologies, mobile computing, and cyber-physical systems. 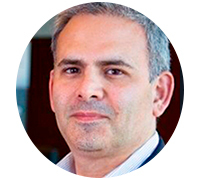 Dr. Roumani’s main areas of interest are computer security and quantum computing and cryptography. Why should I take York’s Cyber Security certificates instead of programs offered by other universities, institutes, or other organizations? Quality of instruction – our instructors are not only experts in the field, but are also certified by (ISC)2. Their breadth of experience is as tremendous as their teaching and academic qualifications. Innovation – We’re the first School of Continuing Studies in Ontario to offer a non-credit two-certificate program to prepare for the CISSP designation. What does the field of cyber security encompass? Cyber security refers to the protection of digital environments and assets from internal and external threats and the guarding of intellectual property. The field of cyber security includes industry risk management, engineering, communications, identity protection, assessing and testing, operations and software development. The Certificate in Cyber Security Fundamentals takes just 5 months to complete. If you choose to continue on to the Certificate in Advanced Cyber Security right away, you can be prepared to write the CISSP exam in as little as 10 months. What is the likelihood that I will receive employment in this field once I complete the certificate program? According to the Digital Adoption Compass, a consortium of the industry’s major players, over 27,000 new jobs in this field are expected to be created in Ontario by 2019. Combined with replacement demand, Ontario would need to fill 76,300 ICT positions over the next five years. Furthermore, they project that the availability of home-grown talent will not be sufficient to meet these hiring requirements. So if you’re qualified, you’ll most likely get a job. What’s the salary range for roles in cyber security? According to the Government of Canada’s Job Bank, the average hourly rate being paid for cyber security services is between $60 and $98 per hour. Save $600 when you register for both Certificates at the same time! Certificate in Cyber Security Fundamentals – The first payment of $1,599.00 (CAD) is due upon registration with the balance due by program start date. Certificate in Advanced Cyber Security – The first payment of $1,999.00 (CAD) is due upon registration with the balance due by program start date. If registering for both Certificates as part of the bundle – The first payment of $1,599.00 (CAD) is due upon registration. The next payment of $1,386 is due at the start of the Certificate in Cyber Security Fundamentals, with the balance due at the start of the Certificate in Advanced Cyber Security. A+ 90 – 100% Thorough knowledge of concepts and/or techniques, and exceptional skill or great originality in the use of those concepts/techniques in satisfying the requirements of an assignment or course. B+ 75 – 79% Thorough knowledge of concepts and/or techniques with a fairly high degree of skill in the use of those concepts/techniques in satisfying the requirements of an assignment or course. C+ 65 – 69% Good level of knowledge of concepts and/or techniques together with considerable skill in using them to satisfy the requirements of an assignment or course. F Below 50% Insufficient knowledge of concepts and/or techniques needed to satisfy the requirements of an assignment or course. PASS Pass is awarded as a grade only to courses that have an experiential component. A student that has received a Pass has met the requirements of the course. FAIL Fail is awarded as a grade only to courses that have an experiential component. A student that has received a Fail has not met the requirements of the course. EXEMPT Exempt is awarded to those that have completed a comparable course elsewhere and have met all of the requirements for completion of that course. DNA Did Not Attend – The student did not attend, did not withdraw, and did not submit course work. DNC Did Not Complete – The student did not complete the course. Students are required to complete all course work. Students who fail to complete the course work will receive a DNC (Did Not Complete). A+ 90 – 100% Academic Bridging Studies – Meets Admission Requirements. Elementary Mathematics – Students already admitted to YORK UNIVERSITY who earn a grade of “B” or better will gain automatic entrance to AK/MATH1710.06 and will be exempt from the pre-requisite test. C+ 65 – 69% Academic Bridging Studies – Does not meet Admission requirements. Student cannot repeat the same Academic Bridging course but can enroll in the other Academic Bridging course. F Below 50% Academic Bridging Studies – Does not meet Admission requirements. Student cannot repeat the same Academic Bridging course but can enroll in the other Academic Bridging course. Ali Khan is a senior Information Technology (IT) cyber security and risk management professional. As a mentor and educator, Ali continues to work to develop the next generation of cyber security professionals. Ali has worked within various sectors of the economy including crown corporations, high-tech corporations, the financial services industry, energy and utility, health care, retail and educational institutions.